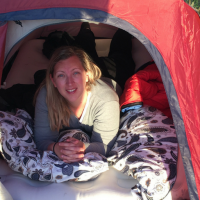 I often get asked if I would hire a moto in South East Asia as a solo female backpacker…. well the short answer is, yes. I have done on a number of occasions. 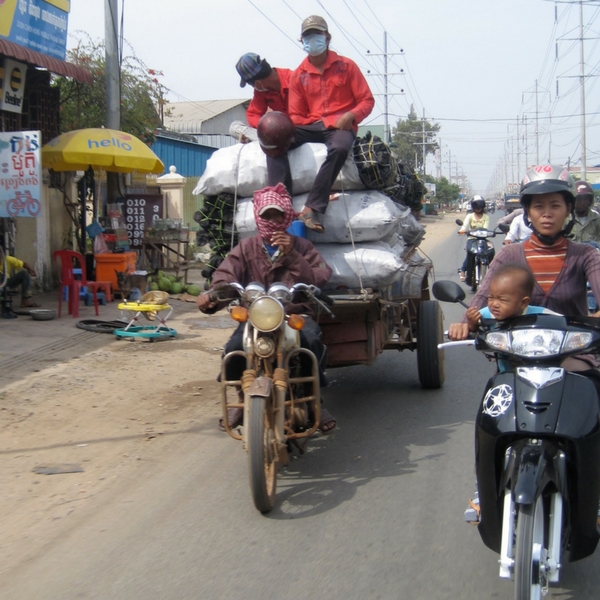 Riding a moto in South East Asia is a rite of passage for many backpackers. However, the long answer is, I think that it is an incredibly dangerous thing to do if you have no idea what you are doing, which most backpackers don’t. No one asks if you have a moto licence, especially in places like Thailand, so it is easy to see why so many people hire one and then fifteen minutes later are sitting on the side of the road covered in blood – sorry, was that too graphic… actually not sorry, let’s be honest about the reality of what it means to hire a high-powered machine without any training. There are a lot of stupid tourists who hire moto’s and there are a lot of locals who are annoyed with stupid tourists and so drive too close to you. It isn’t safe and lots of people die doing it every year, both tourists and locals. Lots! Seriously – look up the stats. Honesty aside, I am not going to say “don’t do it” as I that would be completely hypocritical of me. Some of my favourite travel days have been getting off the beaten track and going for a little explore on a moto, I had no idea how to ride a moto before I hired one for the first time when I was 22. Instead, I am going to give you some helpful tips for riding a moto in South East Asia without getting the scars. Travel is about getting out of your comfort zone and trying new things, but that doesn’t mean be stupid. 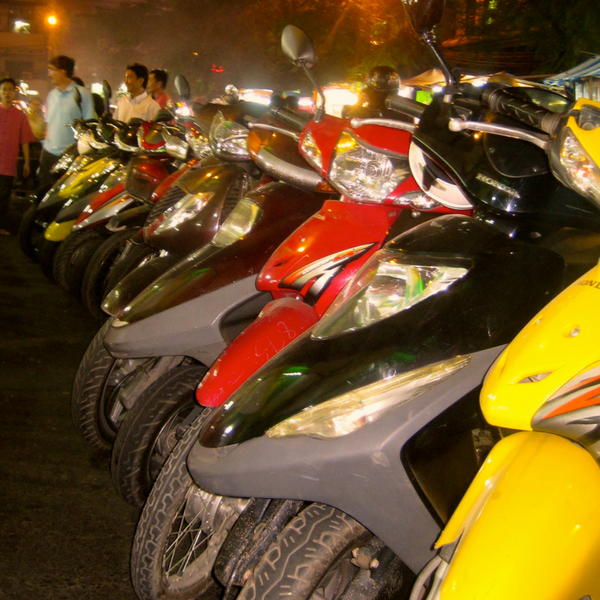 Insurance – make sure you your travel insurance covers riding a moto in South East Asia. It does cost a little more, but not as much as the medical bills that you will have to pay out of your own pocket if you come off. Nearly every second person you meet on the backpacking trail have what they call the “South East Asia Tattoo” and to be clear, it’s not your standard tattoo that you get in a parlour, but the type that you get when your skin meets the rough road at speed. Cover Up – Its hot, often humid and all of the locals are ridding around without shirts on and in shorts. If you aren’t a pro, I would seriously recommend covering up. Even if you are a pro, cover up – don’t be an idiot. There are two reasons for this. The first is sun burn, when you are spending a day exploring it can be easy to forget to top up your sunscreen, nothing worse than full body sunburn/wind burn. The second and most obvious reason is that if/when you come off there is a little bit of protection for your naked skin when it hits bitumen. Closed Toe Shoes – following the cover up so there is less skin exposed if/when you hit the road, wear closed toe shoes. I know it’s really hard to do in a place like Thailand where even wearing thongs feels restrictive. But when you are starting out riding a moto you will use your feet to steady yourself when you shouldn’t, this will mean stubbed toes, gravel rash and worse. Just cover those tootsies and save yourself the pain. Helmets – The locals may moto around without helmets, but they also have a really high death rate. Koh Samui in Thailand is reported to have 30 moto deaths a month… considering it’s not a huge island, that’s quite alarming. You may think you are cooler without your helmet on, but believe me, you aren’t. Smaller is Better – when choosing your moto ask for a smaller engine. Yes the bigger engines can go a little bit faster… but do you really need to go fast? Especially if you are sight-seeing, the smaller engines still have enough speed to get the wind in your hair. More importantly, they are easier to control for first time moto drivers and are less intimidating. Trust me, bigger isn’t always better. Hire from a place you trust – I generally hire my motor from my accommodation. Die hard bargain hunters will shake their heads at that, they will tell you that you can find a much cheaper deal somewhere else, spend your time negotiating and bargaining for the best deal. All of which is true… however when it comes to hiring a piece of equipment that could see me dead, I don’t mind paying a little extra. We aren’t talking hundreds of dollars here, but the equivalent of 1 or 2 bucks… yep that’s all. There than trust, one of the reasons I hire from the place that I am staying, is because I have the power of a review. If I have a bad experience and I feel ripped off – I will be saying that in my TripAdvisor review the moment I leave. Most hostels and guest houses know the power of the review these days, and so make a conscious effort to look after their guests. The second reason I hire from my accommodation is that if something goes wrong and I come back later than expected – its less stress about returning the moto. Simple reasons – but makes a difference when its 10pm and you were supposed to be back at 5pm. Have a Plan – There is no point just aimlessly riding around, yes you may be exploring but it gets boring after a while, and because none of the street signs are in English there is a very good chance you are driving past some amazing sights without even knowing it. Make a plan of the places you want to see. You can’t read a map when you are driving so work out how many corners you need to take to ride for ten minutes or so and then stop for another read of the map. Don’t Go Double – This is a big one, especially for girls. For some reason girls always prefer to double up and go on the back of someone. But it isn’t actually safer, especially if the person driving doesn’t have any experience riding a moto in South East Asia either. Moto’s require balance which means if one person is leaning the wrong way the whole thing will slide out from underneath you. There is also the added risk of the traffic in South East Asia, if you have seen it, you know what I am talking about. If you haven’t seen it… well its chaos… but a somewhat organised chaos that the locals and long time travellers understand, but if you are new to the area it can seem like madness. I know it may seem scary going it alone, but it is actually safer. Home by Nightfall – Riding a moto in the dark is a lot harder than it looks, especially if you are in the more rural areas or on the islands. There are huge patches where there are no street lights, and most of the moto’s that are hired out to tourists have less than beaming headlights. The chances of you not seeing a pot-hole or a dog running across the road are really high. I suggest not driving at night. Don’t Drink and Drive – it astounds me how many tourists go away on holiday and suddenly start drinking and driving. I mean you wouldn’t do it at home, not only because it’s against the law but because you could kill someone or yourself. So why, is it when people go to a tropical island and are driving around on an unprotected vehicle on roads they aren’t familiar with, do they think it’s a good idea to have a few beers before they ride off into the sunset? I don’t get it, but have seen it so many times that I have to put it in here. Don’t be stupid. Be Comfortable – I have to say that I am no speed demon. Something I felt very self-conscious of on my last moto hiring experience. I was with a large group of people who all wanted to go fast. So off they went, for a while I tried to catch up with them, but every time I went a little bit faster than I was comfortable with, I felt nervous and stopped having fun. Luckily they were all amazing people, I explained to them that I wasn’t comfortable going fast, so we set up a system where they would ride away and then wait for me every now and then. Some of them even started riding slower with me to look at things. Make sure you go at a pace you are comfortable with, don’t push yourself too far out of your comfort zone as that is when nerves take hold and accidents happen. Have Fun – the freedom you feel when you zip around a beautiful country with the wind in your hair is amazing. Definitely something worth doing. However, it isn’t for everyone. If you try it and after you have driven 200 metres up the road realise you completely hate it. Get off, wheel the bike back and head to the beach. You are on adventure – it should be fun, and if it’s not, go find something else that is. So in short, riding a moto in South East Asia isn’t always the smartest decision a person can make when they are travelling. But if you are sensible you can do it and walk away without getting the “South East Asian Tattoo”. I am not saying that if you do all of the above that you will be fine, there are no guarantees, be aware of the risks and decide within yourself if you are willing to take them. 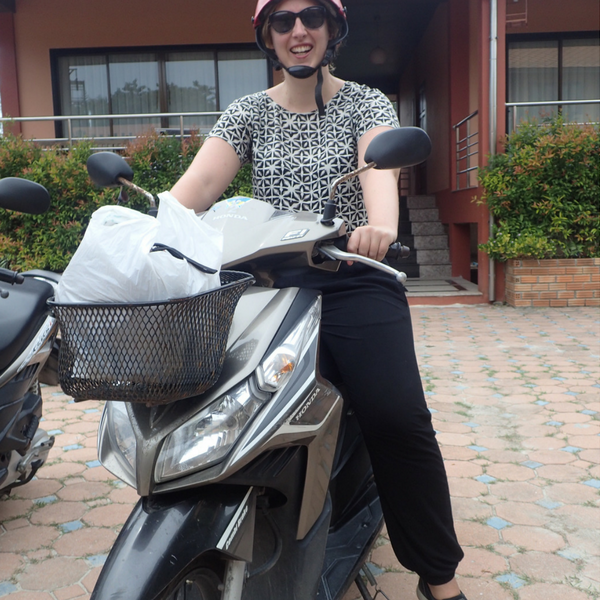 I would also like to say that as a solo female traveller, I have loved every experience I have had of hiring a moto. I have never come off (knock on wood) and have never been ripped off in the hiring process – I have nothing but good times and memories. Good stuff! Self taught moto rider here. In 20 minutes I was good to go – after never driving a moto before – BUT I ride like a grandpa and am pretty confident on the thing. Go slowly. Thanks Ryan – and I love the video game reference, very much like that. Poor dogs, I always want to take them home and give them a bath. We always thought the foreigners who ride bikes in South East Asia were just incredibly brave and/or crazy haha……but you’re right, as long as you’re sensible I guess it would be great to try! It is a lot of fun, but only do what you are comfortable with… as yes – a lot of them are CRAZY!